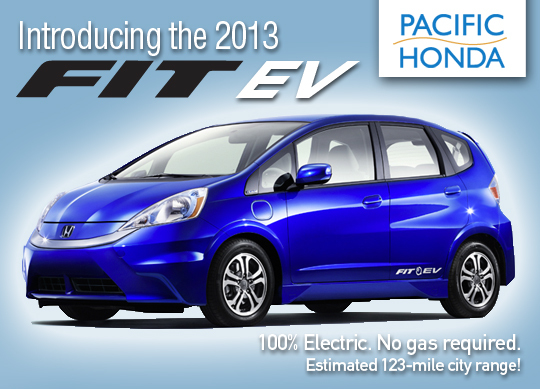 Pacific Honda Blog: The 2013 Fit EV - Coming Soon! Introducing the 2013 Fit EV (Electric Vehicle)! This new Fit is 100% electric and requires zero gas. With a 123-mile estimated city range and 76-mile combined range, this vehicle is perfect for your daily commute! Also, take the Honda EV Readiness Assessment to see if an EV is right for you!